2013-07-05. 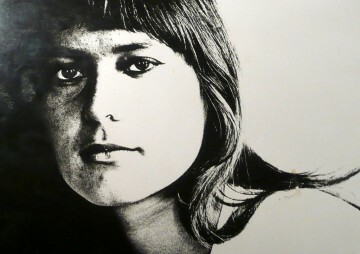 Published in category Exposing. The purpose of these articles is to provide an analysis of the contemporary South African and southern African scene from a Christian, “politically-incorrect” perspective, in order to counter the propaganda of the Reds, almost-Reds (liberals and others), and religious Reds (“liberation theologians”); to warn Christians living in South Africa of real and potential dangers; to encourage Christians elsewhere to pray for the people of this part of the world, especially for their Christian brethren; and to do what they can to assist them. Christians are to pray for those in authority (1 Tim. 2:1,2), and to obey them in all matters not contrary to the Word of God (Rom. 13:1-7; Acts 5:29). But any danger to believers, whether from a religious or political source, must be brought to the attention of the Church of God (Acts 20:28-31; 2 Thess. 2:1-9; etc. ); and this is what we seek to do. The ugly truth about the world’s favourite terrorist-turned-politician, Nelson Mandela, has been buried deep beneath the media-created myth of the man, who for decades has been given such a whitewashing by the liberal/Socialist media that the real Mandela disappeared from the world’s eyes, and in his place appeared a messiah, a saviour, a demigod, whose only resemblance to the real Mandela was the outer shell. 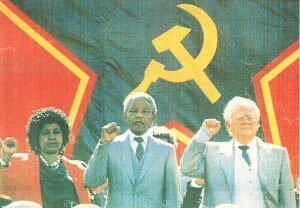 The man who emerged from prison and became president of South Africa was at heart the same man who had gone into prison so many years before, a Communist revolutionary, much older but just as committed to the ideology and the revolution as he had been when the prison gates slammed shut on him. Yet by the time he emerged from prison, the worldwide liberal/leftist media had repackaged him, presenting him to the world as a wise, big-hearted, moderate, decent man, who had been unjustly imprisoned for his stand against apartheid, and who would, when he became president of South Africa, govern this complex and diverse country with wisdom and magnanimity, creating a wonderful earthly paradise where all would live happily ever after. The real Nelson Mandela was, however, vastly different from the media-created myth. 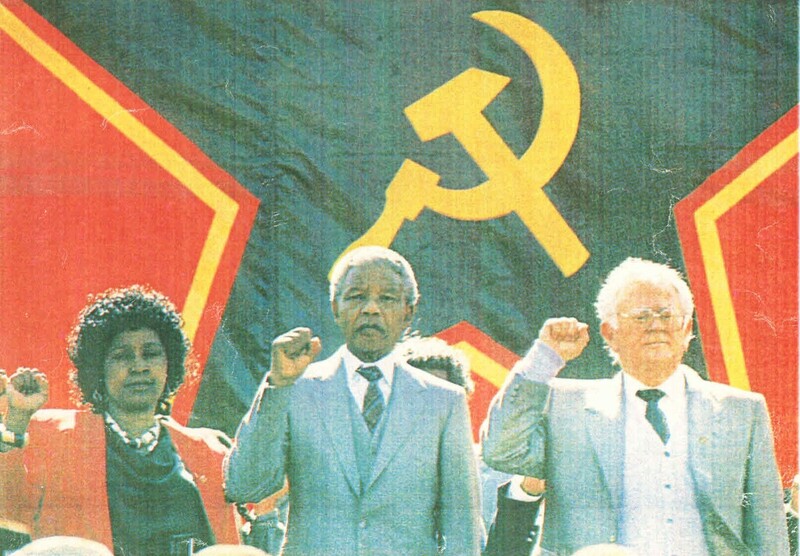 But this was the deliberately-constructed image which the international Communist movement, and Mandela’s own organisation, the African National Congress (ANC), wanted the world to believe; and the media, so enamoured with Communism and the ANC, ensured the dissemination of this myth. As the saying goes, tell a lie, tell it often enough, and the people will believe it. They did. In their millions.